Some say the city is rather lacklustre, with it’s dinghy narrow lanes, trams famous for pick-pockets and underground pubs. Yet there’s a lot more to this city than meets the eye. 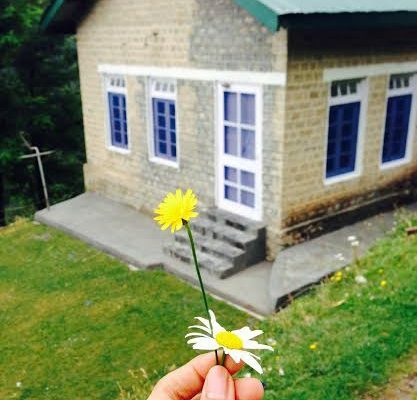 Graceful and slow, the city has a charm that remains unmatched. It takes a while to get accustomed to the place (specially if you’ve been around cleaner European cities), but once you do, Prague grows on you. 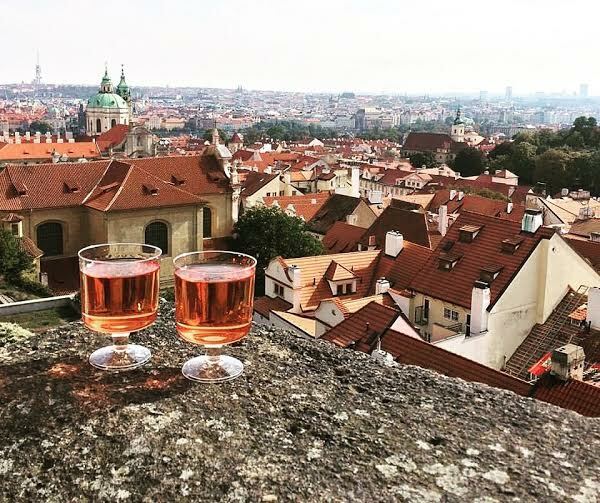 There’s freedom in the air, as you walk past the streets of old town eating watermelon sorbets, sipping authentic Czech beer, strolling alongside the fancy (read: heart stopping!) beautiful cars that pass you by. 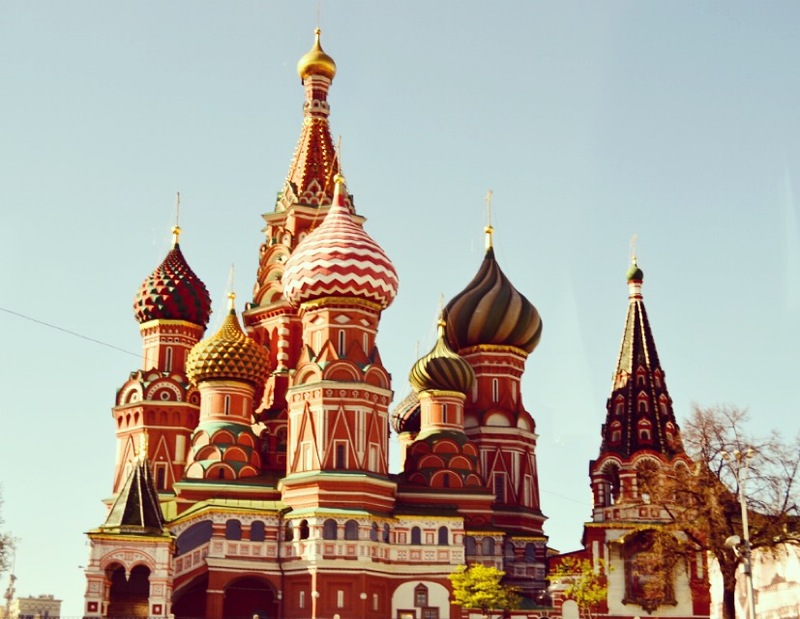 Eurotrips often result in single-day trips to various cities, with travelers striving to experience the essence of each place in a limited time span. 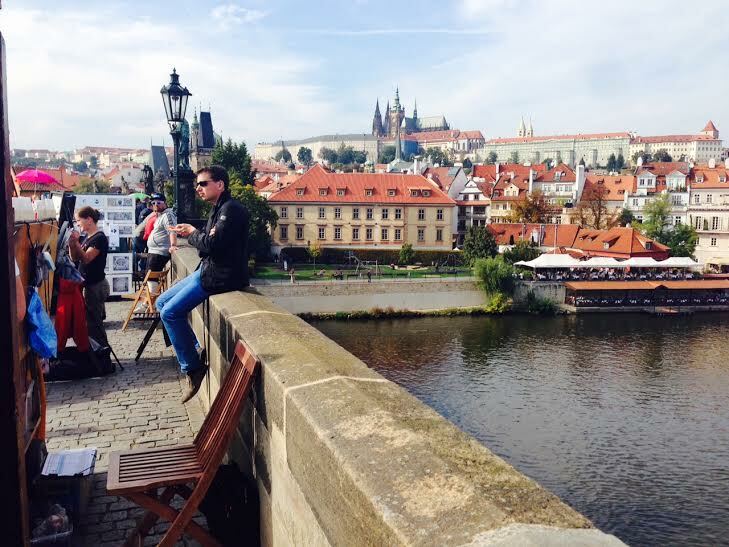 Here’s how I spent my day in Prague, a mix of sightseeing and culture without missing out on the spirit of the city! 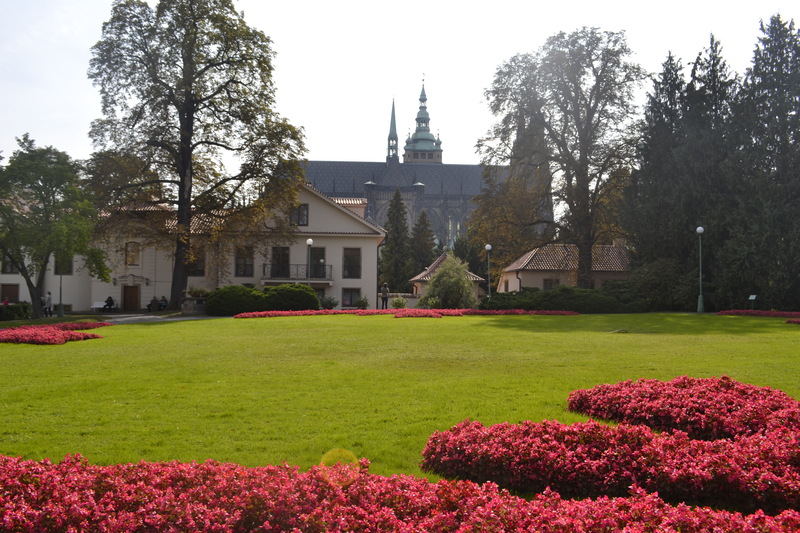 Prague Castle: This one, you cannot miss. It’s on Prague’s must-do list on possibly every blog, travel magazine and website- but with good reason. Not only does the palace offer one of the best views of the city, they have a gorgeous lane outside that serves delicious frankfurters, curry wurst and local wine. I had to drag myself away from this lane, for it was the perfect combination of celebration and chilled out. The view, combined with the wine and fresh delectable food will give you so much joy! Do step in to check out the foyer, chandeliers and beautiful architecture. Step into the dungeon for a quick sneak peek! Charles Bridge: Crowded at all times, its best to visit Charles Bridge early morning when its relatively free of visitors. Although the view from the bridge is enchanting, and the painters, hawkers and street artists add to its exuberance, the bridge is always crowded, leaving little to enjoy. With the Vlatva river and its greedy swans, the bridge is an essential pit-stop within Prague. Take a moment to grab some beer or a slice of cake at a rooftop cafe with a view of the river. It’s just one of the essentials! 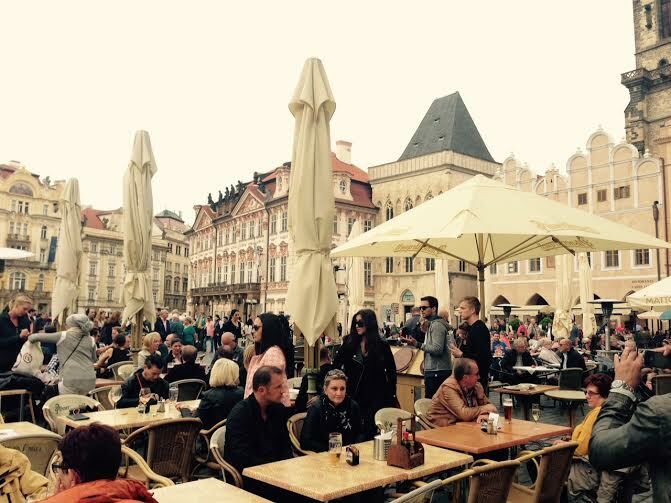 Old Town Square and the Astronomical Clock: There’s something magical about Prague’s Old Town. It’s not just the square that’s exciting, but also the walk leading to the square. Narrow cobbled lanes surrounded by tiny cafes, souvenir stores and liquor shops (just in case you need to re-stock!). As soon as you get off the Charles Bridge and begin walking towards the square, bakeries and ice cream parlors will engulf you on either sides. Remember to stop by to grab a bite of the watermelon sorbet, it’s heaven in a cone! You can tell you’re there by the massive number of tourists you’ll encounter at the very beginning, huddled in front of the Astronomical clock. Time constraints didn’t allow me to wait for my turn to reach the top of the clock, but I settled for fresh cocktails instead. Spend some time at the square and you’re bound to catch a live performance breaking out. Cafe at U Prince Hotel: The cafe at U Prince Hotel will be the first to catch your eye, and it lives up to its beauty. Located conveniently opposite the clock, this place is always full with tourists. Two fresh cocktails and a delectable grilled prawn dish later, I was a fan. I highly recommend this cafe for its selection of desserts and cocktails. 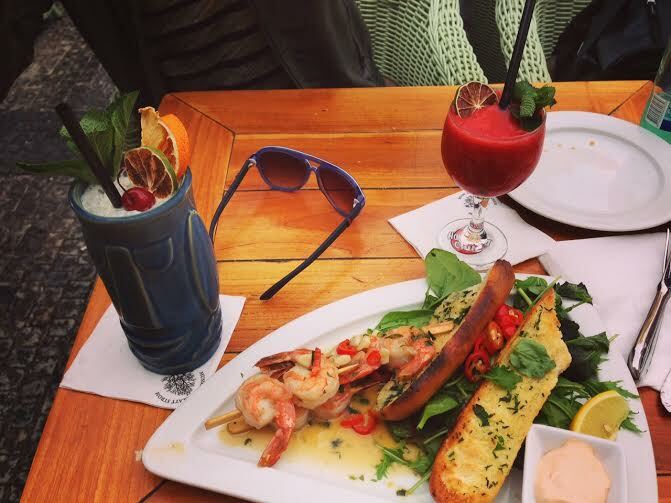 While the options in food are limited, the taste is extraordinary! Dinner at Wenceslas Square: A great place to shop, Wenceslas Square consists of cafes and pubs alongside clothing and luxury brands. Amidst the buzz, there are plenty cafes and restaurants that serve authentic Czech food. Word to the wise- grab some authentic Czech cuisine. 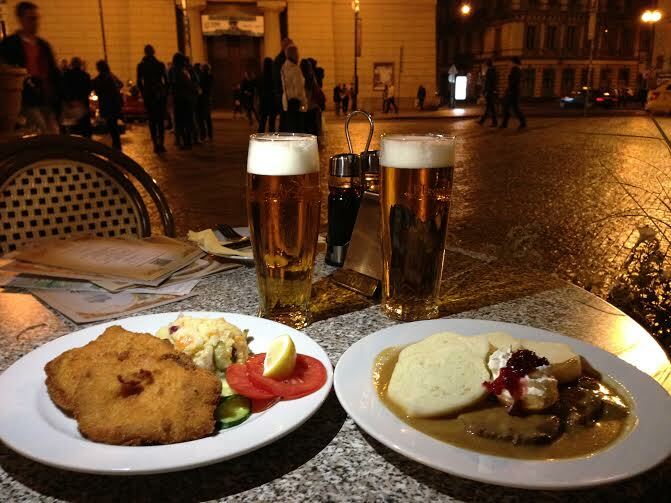 Recommendations include Beef Goulash with Dumplings, and Pork Schnitzel accompanied by some beer.